Literally, connecting the internet up to the things which are not connected but would be nice to have connected. But more than that, it’s disruptive business models which use the oncoming wave of accessible electronics technologies, prototyping methods and software tools to quickly iterate and move forward to create a better world. It’s the stuff that will allow all industries to make better use of technology – to help medical patients to live better lives, reduce hunger in the developing world, save energy, as well as enable renewable energy and pollution reduction. Today, you raise your eyebrows when you hear about a company or organization that doesn’t have a website or doesn’t use cell phones. In the future, you will raise your eyebrows when you hear about companies and organizations which still don’t use connected devices, have 3D printers, or know the value of their data. What is the Mission of @iotmpls? @iotmpls is a monthly meetup focused on uniting scrappy coders, engineers, makers, hackers, thinkers and doers with artists, marketers, entrepreneurs and innovators. Our goal is innovation through startup entrepreneurship within the broad “Internet of Things,” space. We constantly strive to stay ahead of the curve by innovating and improving our own devices and perspectives with the goal of using technology to improve the physical world in which we live. Who should go to your events listed on Meetup.com/iotmpls? This group is a place for engineers, mobile developers, big data enthusiasts, software developers and designers/user experience enthusiasts to come together. This meetup.com group is a way to exchange thoughts and build better teams so that we can go forward into a better, more interconnected world. Surveys taken on past attendants about their professional experience and interest profiles can be found here. What will happen at events as listed on Meetup.com/iotmpls? • We will have speakers and panelists from successful IoT companies. • We will do demos of totally new, amazing IoT product prototypes. • We will discuss, argue and network across a huge spectrum of connecting ideas and leave each meeting better informed about where the IoT world is heading. 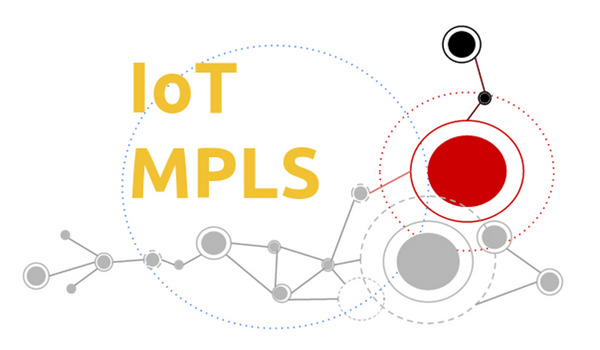 Why does your group title include, @iotmpls? That’s our Twitter handle. Please follow us. Where did the Internet of Things come from and why has it become so important recently? Originally a theoretical concept for connecting machinary to the internet, IoT has evolved to include real-time monitoring of people and things to allow for dynamic interaction. The now ubiquitousness of smartphones, which are basically pocket-computers has been a factor. The increased strength of cellular networks, expansion of wireless protocols such as bluetooth and WiFi, ease of prototyping through 3D printing, Arduino & various design software platforms, and recent high-profile success of companies such as Nest and SmartThings have raised IoT to the level of national attention. So who cares if we connect a toaster to the internet? Why should I care about IoT for my career and life? IoT is intended to improve efficiency, productivity, and quality of life. We will use emerging technologies described above to solve problems in elegant ways we can’t even imagine today. But to do this, we have to collectively learn how to provide unique, additional value to stakeholders and customers. A meeting of minds within the product design, finance, hardware, mobile, cloud, and software development spaces is sorely needed today, and will create huge opportunities over the next 10 years! It’s an illustration of the iconic “Minneapolis Spoon,” represented in Network-format. If you think you can do better, please do not hesitate to contact the group organizer. Patrick Delaney made it on Google Slides in about 5 minutes and then took a screen shot. We’re totally open to a different logo, (especially an improved version of the Network-Spoon).